Sol. (i) Let the given points be and . Hence, the given points are collinear for k = 3. Q.3 Find the area of the triangle formed by joining the mid-points of the sides of the triangle whose vertices are (0, –1), (2, 1), and (0, 3). 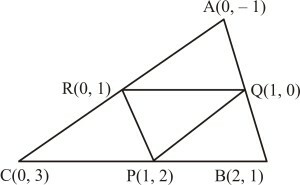 Find the ratio of this area to the area of the given triangle. and be the vertices of . of formed by joining the mid-points of the sides of . Ratio of the area to the area = 1 : 4. Q.4 Find the area of the quadrilateral whose vertices, taken in order, are (– 4, –2), (– 3, –5), (3, –2) and (2, 3). Sol. Let A(– 4, –2), B (– 3, –5), C (3, –2) and D (2, 3) be the vertices of the quadrilateral ABCD. 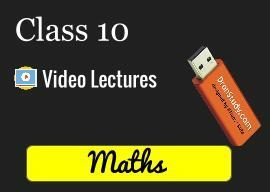 Q.5 You have studied in class IX (Chapter 9 Example 3) that a median of a triangle divides it into two triangles of equal areas. Verify this result for ABC whose vertices are A(4, –6), B(3, –2) and C(5, 2). 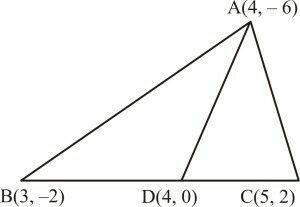 Hence, the median of the triangle divides it into two triangles of equal areas. Bro dono triangle ka area nikala hai and then compare kiya. 1st ka answer 1 sq.unit ka ya and 2nd ka answer 4 sq.units aaya that is why 1:4. Its the easiest way to understand this chapter or the other chapters. I'm thankful for this app. 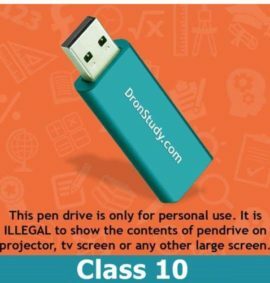 Nowadays sites and apps go on for help in exchange of money transactions but here all of the tests and solved up questions are free which is indeed helpful and generous.